Mix the pine nuts, garlic cloves and basil leaves in a food processor. Mix until you get a smooth consistency. Take your sauce in a bowl and add olive oil and salt and pepper to it. Cook the pasta. Drain it and place it back on the heat. Mix with the pesto mixture. Stir a couple of times (to cut the overwhelming smell of garlic) and add the parmesan cheese. Stir until the cheese is melted and remove from heat. 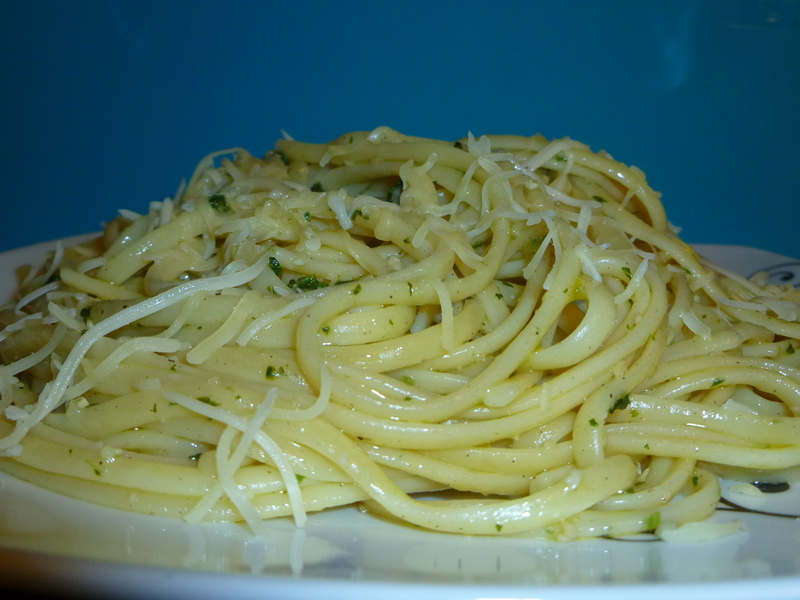 As you wish you can garnish it with pasta cheese (a mix of mozzarella, emmental and gouda). 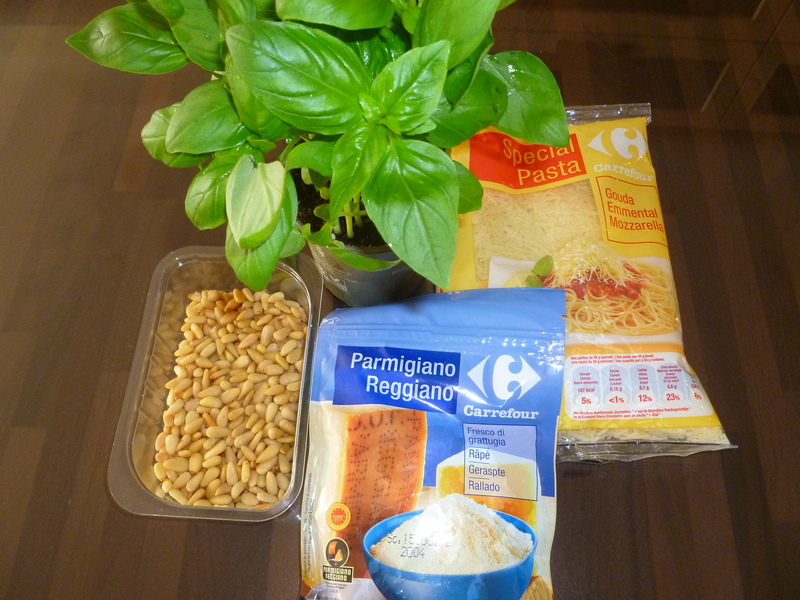 This entry was posted in Pasta & Pizza and tagged Italy, Pasta, Pesto.